With its deep emphasis on process, Six Sigma isn’t a tool for every problem. Here are six tips for finding just the right organizational issues that Six Sigma can successfully address. Six Sigma is a management methodology that focuses on improving quality and reducing errors in service, software and hardware processes. 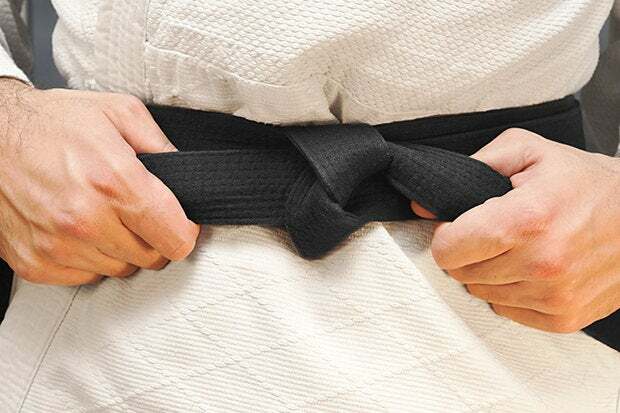 Participants climb the ranks in Six Sigma training, starting at a Green Belt and ending at a Black Belt. While it’s easy to introduce Six Sigma training and certification to your business, you might be at a loss when it comes time to implement the Six Sigma methodology in practice. You don’t have to feel overwhelmed when picking your first Six Sigma project; here are six tips for identifying the best Six Sigma-qualified project in your organization. The best Six Sigma projects involve senior leadership from the start, as you will need leaders who can help define and structure the strategy for choosing a project — and rally other executives and department heads. Jessica Congemi, project management professional at Reveille Group and a Lean Six Sigma Black Belt, says senior leadership can help identify what the “organization is trying to accomplish,” and they’re the best starting point for defining the project’s goals and metrics. You’ll find no shortage of problems to fix in your business, but with Six Sigma, the best issues to tackle are process problems. Congemi says Six Sigma tools and methodology might not work as well with any other business issue, so it’s best to keep it targeted at solving process errors. Once you determine a process that needs attention, you’ll want to drill down and get specific. For example, if you’re trying to limit the amount of variation in product or software defects, you need to explicitly investigate each error or defect to determine which one is the most pressing. You can’t solve every problem at once, so it’s important to remember to take it one step at a time. Sean Robertson, a Six Sigma Green Belt, former CIO and current president of an IT company, says you should look to customer-facing departments to discover potential qualifying projects. He suggests asking leaders outside IT, like the CFO or director of customer service, what frustrates them the most and how they’d like to see it change. “IT Six Sigma projects tend to include improving service desk response times, improving uptime, reducing desktop deployment times, but those projects focus on the IT team. While important, they may not be what is most impotent to our customers,” he says. Listening to stakeholders helps create better products and services during development, but it can also help identify fixable pain points after that product, service or hardware goes live. Six Sigma tools are most effective if they’re used to solve an internal error that directly impacts customer or stakeholder satisfaction. Robertson gives the example of a CFO noting that invoices are sent out late or with inaccurate data. In this instance, a Six Sigma project would identify data entry issues that can be prevented or flagged. While not a traditional IT project, it’s one that increases efficiency and “helps serve the business better,” while utilizing IT’s services in the process. Congemi says it’s important to identify the processes with the most variation and then use that list to determine which problems have the most significant effect on the overall business. “It’s critical to define the problem and not expand the scope of Six Sigma projects to examine every problem in a process, but the one that is having the most impact. Project ideas can be prioritized based on senior leadership’s strategic business goals and metrics,” she says. This is another place where involving stakeholders and other departmental heads comes into play — the people working within the process every day will have the most valuable insight into how to improve it. You might find that the best Six Sigma project is one that doesn’t yet exist in your organization. It might make more sense to create a new product, service or process from scratch. In this case, you’ll want to approach the Six Sigma process from another angle. “In these scenarios, you can use a variation of Lean Six Sigma: Define, Measurement, Analysis, Design, Verify (DMADV). This framework can be especially helpful within IT given that it focuses primarily on the development of a new service, product, or process,” says Congemi. Whatever the process problem, there’s a way to make Six Sigma work for your business once you get the right training and certifications in place.